Last month, my car was broken into right at the start of a 10-day road trip. Before I realized how much I’d left in the middle seat,1 the rear window was smashed and the thief made off with the bag with my iPad, keyboard, sleeve, and Pencil (along with a smattering of other gear). Besides the financial setback and dealing with replacing a window mid-vacation, the biggest impact wasn’t felt until we made it home and I sat down at my desk — I didn’t have my tablet for work anymore. The iPad has been my main computing device since the Pro line came out. Being without it for a few weeks has really highlighted why I prefer the iPad, and in many cases, has shown me how I can do more than on any other device. Without an iPad, the joy of using a device doesn’t exist to the same extent. I still have an iMac, but since I lost the iPad and have had to use the iMac full-time again, I’m starting to feel the desktop’s limitations. With a Mac, you’re forced to mouse over everything, disconnected from your work as you click on things from afar — all this while sitting in exactly the right position as you’re chained to the desk. If you have a MacBook as well, you may be provided a haven outside the office, allowing for you to work from a couch or coffee shop. Of course, you’d still be limited to sitting in a chair and within WiFi range. For me, iPad is the ultimate form factor. It’s a large screen you can interact with through touch. Pair it with a keyboard and you start to get the best of both worlds. Typing on an iPad Pro Smart Keyboard is by far my most comfortable place to write. Not only is it the only Apple keyboard that lays flat so your wrists aren’t arched upwards, but the feel and bounce of the keys are simply pleasant to use. More than any other device in years, I can sit down with an iPad and start firing away, tapping so fast and loudly that my fingers finally don’t get in the way of the thoughts in my head. Plus, I am seemingly well-balanced enough to rarely have problems using the keyboard folded out on my lap. The keyboard is small enough to fit into airplane trays and awkwardly-small café bars, and when that doesn’t work, I can fold it back (or snap it off, which makes the whole thing much lighter) to type with the on-screen keyboard. For the times where I’m working for longer periods of time, I can get up from the desk and split the keyboard to thumb-type as I pace around the house. The software tied to this form factor is what pushes the device further into my life, and what felt lacking in my life without an iPad. 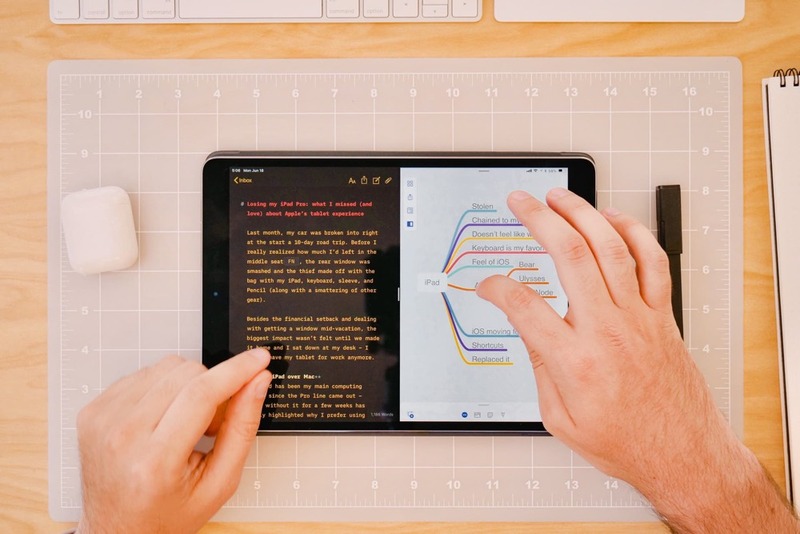 Many of my favorite apps are cross-platform, but using tools like Ulysses, MindNode, and Bear are simply better with the mix of keyboard and touch input. Organizing sheets in Ulysses with your hands feels more like cleaning up a messy desk. Dragging items around in MindNode allows for tangible thinking. And having my notes at the ready with Bear fits right into the rest of the workflow. The latest version of Things was faster to use on the Mac, but that was before Cultured Code added the best keyboard shortcuts I’ve seen on iOS. Cultured Code launched the feature the week after I lost my tablet, leaving me jealous of everyone who was getting more out of the best productivity app on iOS. With the iPad, I find physically moving and using apps to get things done gives a level of intimacy that feels like I’m closer to the technology than ever before. When I’m doing things like arranging bullets in a mind map or moving sheets around like they’re stacked on my desk, the iPad gives off the neat illusion that I’m working with my hands. 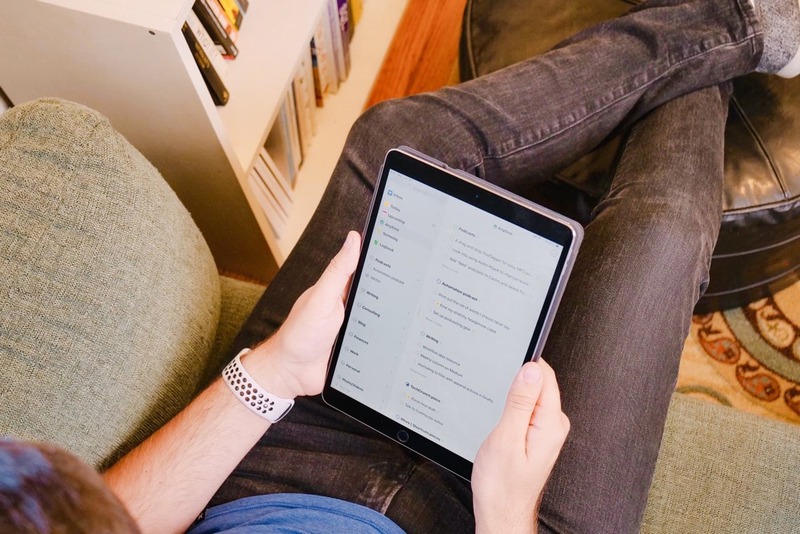 More and more, the iPad is gaining new features that make it even more appealing for work. Features like Shortcuts in iOS 12 will make things easier to automate and save time on iOS, and Screen Time is sure to help limit overuse of apps when you should be working.2 Shortcuts will start to push productivity into new areas for the iPad as quick actions surface from all apps, and triggering them with your voice will open up new potential for everyone’s processes. I think the Shortcuts app will be best used on the larger screen. Building what are now formerly known as “workflows” in the Workflow app has always been best on iPad. Having worked at Workflow in the past puts me in a unique spot to use the upcoming Shortcuts app to its greatest extent, and I’m excited to convert my old workflows and push Shortcuts as far as technically possible. Combining features into the operating system I’m using for work — like Shortcuts with new features like Screen Time — means I have a much better sense of how to work smarter on iOS (and I’ll likely find free time-tracking in the process). Overall, the multitude of ways you can use iPad starts to outweigh the negatives once you start to understand and live within the system. I haven’t even mentioned the benefits of cellular connectivity, staying focused in full-screen apps, multitasking with split-screen, or drawing and pointing with the Apple Pencil3 — all of these features add up even more when combined with all that I’ve mentioned so far. Being without an iPad for a few weeks showed me how iPad really does round out the computing experience. Even if you’re on a Mac and have an iPhone or if you have AirPods in your pocket and a HomePod on your desk — if you don’t have an iPad, you’re missing out on a fantastic part of the Apple experience. 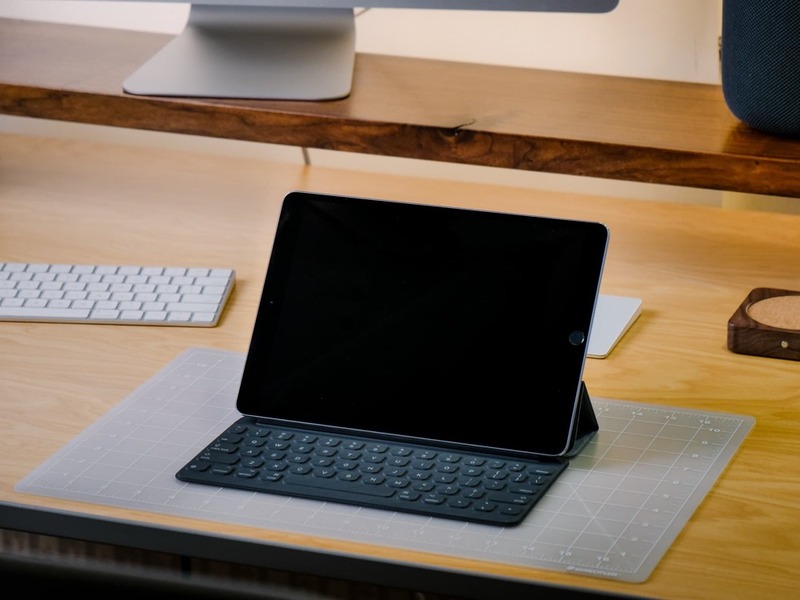 Without an iPad, there’s a whole world of personal computing that you haven’t used yet, and I find it helps keep the joy of using technology alive and well. If you haven’t guessed by now, I just replaced my iPad Pro.4 The iPad helps me work better, it helps work not feel like work, and it frees me from the desk to use technology where I please. I can’t wait to see the hardware continue to improve in the fall. When you add Shortcuts coming in the fall, I believe we’ll be in for another game-changing feature and a new glimpse at what’s possible on iOS. You can bet I’ll be ready with my iPad Pro in tow.